Never purchase Facebook Ads again! 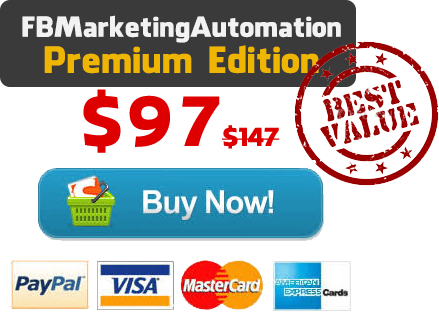 This software will do all the work for you on AUTOPILOT! Is it Hard to Stand Out from the Crowd on Facebook? Do You Find Yourself Trying to Generate New Ways to Reach Out to New Potential Customers? 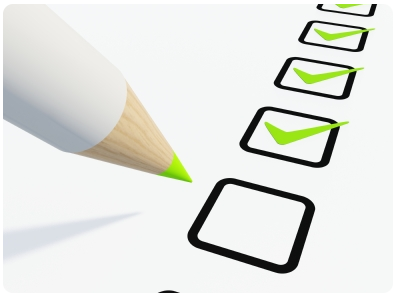 Are You Struggling to Keep Prior Customers Engaged in Your Products? If you answer “YES” to any of these, IT’S TIME TO MAKE A BIG CHANGE! You already know that many Facebook users have profiles and newsfeeds that are absolutely clogged full of information from advertisers as well as their friends. So, how is it that you stand out above all of these other advertisers but do it in a way that is proven to be useful and by using a method that keeps you from dropping a load of cash on Facebook ads? There is a fast and easy solution out there! This is EVERY Facebook marketer’s DREAM software with the ability to maintain several Facebook pages all on AUTOPILOT! Yes! A software that can give a new turn to your facebook marketing experience without using some black hat or dirty tricks! No need to spend massive money on bringing traffic that doesn’t work. There is no need to search for your targeted audience or to buy Facebook ads when FB Marketing Automation can do everything for you! It is an amazing marketing software exclusively for businesses that use Facebook for online marketing. Sure, sure. You’re thinking that you’ve heard all of the answers about online marketing and that it must be impossible to stand out above all other advertisers on Facebook. Think about it again! Major advertisers spend megabucks just to be seen on Facebook. 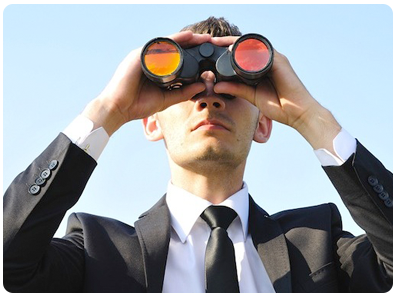 How could YOUR business ever be found? Well, it can. And… you might be surprised to find that there are several different ways. THIS IS THE ONLY SOFTWARE YOU GONNA NEED FOR YOUR FACEBOOK MARKETING Campaign! The FB Marketing Automation Tool does everything for you! This software has helped hundreds of markerters to generate new sales leads, traffic to their website and equaled out to earn them much more $$$$$. There are several features that this software has going for it that can help you to generate a new Internet marketing strategy to maintain a presence on one of the top social media marketing websites in the entire universe. Some of the main features of FB Marketing Automation are things that you cannot do manually or it would take ages! …IT’S YOUR TIME TO SAVE MUCH TIME AND MONEY! Reach your target customers without spending a single dime on facebook ads! Connect with your target customers without them knowing you are using a software. Using the personalize feature! 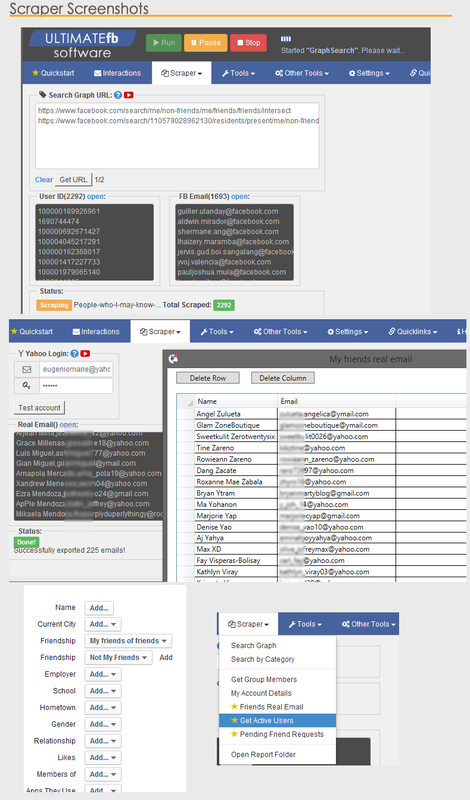 Extract user ID and FB Email lightning fast via Facebook api and http data. Automatically send facebook message to your target consumer. Customize your result by using Facebook search graph scraper. Scrape all members of a group even if you are not a member of that group. Emulate human interactions! 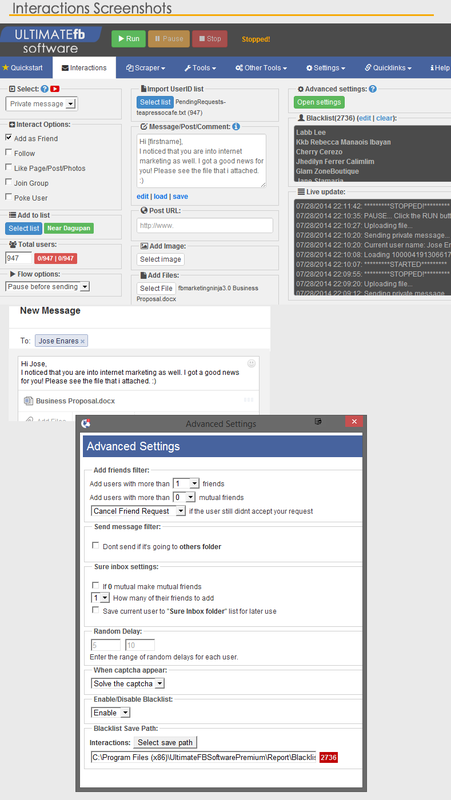 People or facebook wont suspect you are using a software to manage your facebook account! Schedule your campaign on autopilot! Let the software do the work for you! Scrape all the users who like a certain fan page. Scrape all friends of any of your friends. Scrape your own account details. Your friends, page you liked, group you joined etc. Scrape all the users you sent friend requests that didn’t accept it so you can resend it .again to notify them. Scrape the real login email of your friends! You can add them on your email list. Automatically interact with the users. Whether if it’s user profile, fan page, group or users posts. Customize which group of people you want to interact with. Choose whether you want to post on their wall, send private message, and comment on their post. Or choose to simply interact with them by adding them as friend, follow, like page and join group. You can add the users to your friend list after you add them as friend to keep your friends organize. Add user variable on your message to make it look like its personal. For example you can add [firstname] variable to your message and it will be replaced with the first name of the current user you are interacting with. List of variables that you can use. Friends Inviter: Invite all your friends to your fan page, group or event. You can select whether you want to invite only certain group of people. Friends Suggester: Suggest a user to all of your friends. This is useful if you want your other account to have a lot of friends immediately. Suggested Friends Adder: Automatically add people that facebook suggested. Auto Post Tagger: Automatically tag all of your friends or certain group of friends from your friends list to your status post or photo. 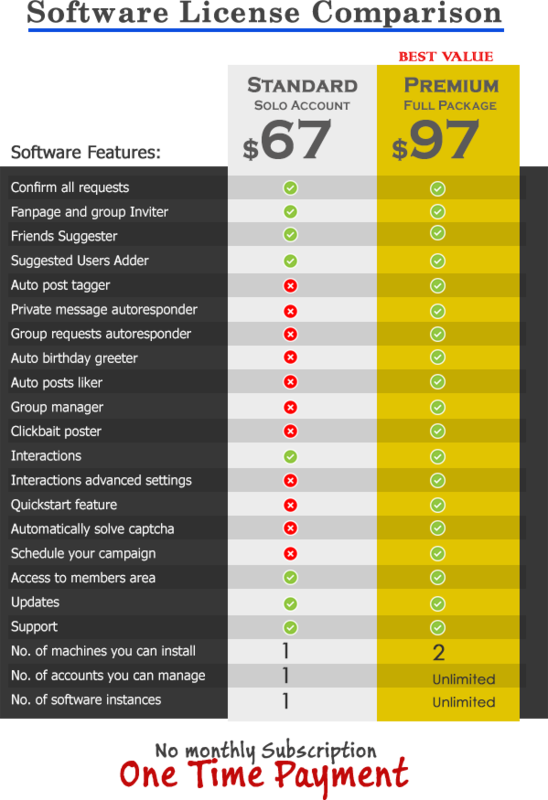 Private Message Autoresponder: Respond to your facebook messages automatically. You can customize which type of message to respond by choosing a keyword. Friends Requests Autoresponder: Automatically say thank you to the users who accepted your friend requests by posting on their wall or sending them a private message. Group Request Autoresponder: Automatically say your thank you message to the groups who recently approved your joining request. Auto Birthday Greeter: Automatically greet those users who are celebrating their birthday. You can choose whether you want to greet them in advance or the day after tomorrow. You can use some variables on your message like [firstname] and [age] to make your greetings more personalize. Auto Posts Liker: Automatically like posts on your newsfeed or choose a list of people to like posts. This feature will keep your interactions with your friends. Clickbait Poster: You can customize your post with the image you want then point it to any url you want. Photo Album Downloader: Download all the picture your friends or page album to your hard drive. Fangate Installer: Install a gate page to encourage people to like your fan page. Merge List: Combine multiple text files into one file. Useful if you want to merge multiple user ID lists into one. Spintax Generator: Generate spintax format to your messages. And other useful features not listed here! Inside we will show you how to use the software to send message to your targetted customers even if you are not in their friend list. And make sure your message will reach their INBOX and not their "OTHERS folders". Never pay for facebook marketing ads again! THIS SOFTWARE IS LIKE A ONE-STOP-SHOP FOR FACEBOOK MARKETING! Now is the right time to make a great decision! Yes, you can close this page and keep struggling with not living the life you want or you can make a great decision to live a great life… generating massive traffic from Facebook and making hundreds or thousands of bucks daily! Get Your Hands on this Facebook Marketing Software TODAY! Find yourself wasting less time and earning more cash. Full 15 Days Money Back Guarantee. Verified & Secure Checkout via JVZoo. Pay Via Credit Card or PayPal. 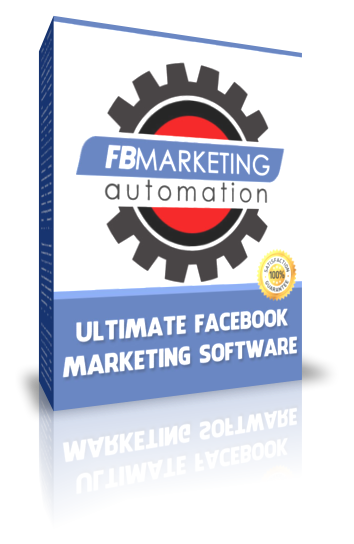 Does the FBMarketingAutomation software work on a Mac computer? Does the software run on windows XP? The software will not run properly on windows XP since windows stopped supporting that OS. We suggest to upgrade your OS to windows 7,8.1 or 10. 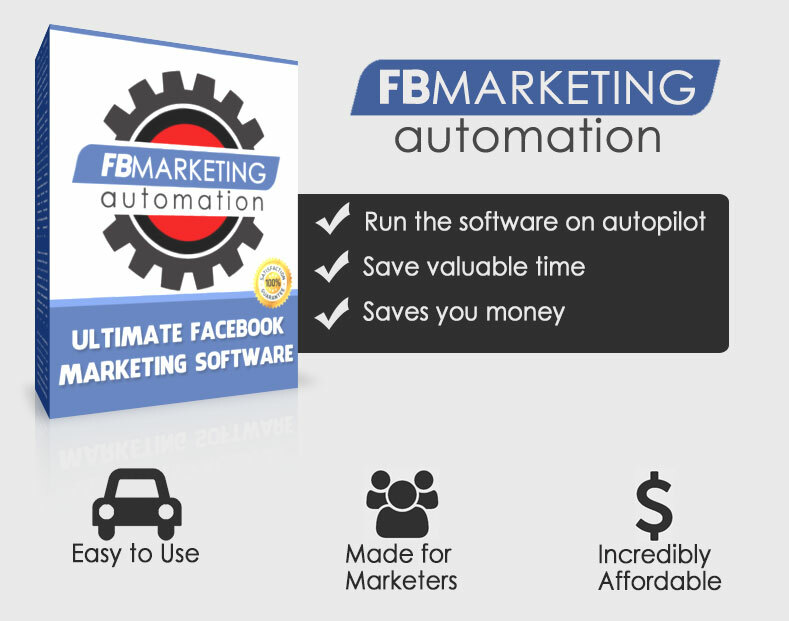 Does FBMarketingAutomation have a monthly recurring payment to use the system? No if you purchase today! We are planning to have a monthly subscriptions in the future. But if you purchase today you are locked with the one time payment offer. Yes! Although this is a lifetime access license, we will continue to sell the software as a monthly subscription…and so we will be updating it very often. The beauty of having it on our servers is that you’ll never notice the updates being done and will always have the most up-to-date version running! We update the software everyweek. You can see the update logs of the software here. Do you provide training on using FBMarketing Automation? Yes! We have step by step tutorials showing you how to set up your campaigns. It’s very easy to do and you will probably not even need to watch a tutorial, but if you want a step by step training we have it all covered for you! How Many Computers Does My License Allow To Use? 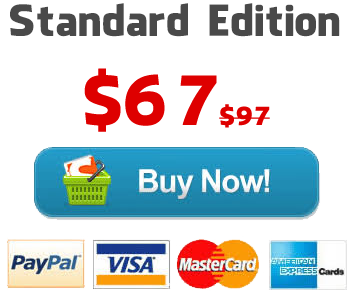 If you purchase the Standard license. You are allowed to install it on one computer only. If you purchase the Premium license then you are allowed to install it on both of your desktop and laptop computers. Can I purchase additional license? Absolutely. Just contact us if you need additional license. When can i receive the software details after I purchase? The license details will be send to your paypal email immediately after the transaction.